PMI was approached by a manufacturing company known for kitchen and bath, products, who also produces engines and generators. The customer asked PMI to aid in the production of a large aluminum roof that would top a commercial generator enclosure. The customer needed to reduce the cost of a large aluminum roof for a commercial generator enclosure. Prior to taking advantage of PMI, this manufacturer was experiencing the high cost of excessive metal scrap. Standard sheet sizes were too small for the pieces they were cutting out, and getting custom blanks from another service center added another metal supplier with longer lead times to their process. PMI has the unique ability to process our own coils and cut to length sheets. We also stamp parts and have fabrication facilities all under one roof. This project was the perfect fit to take advantage of these core competencies and allowed the manufacturer to reduce the total number of suppliers involved in producing such a large part. PMI was able to use its coil processing capabilities to purchase coils of aluminum, slit to width and blank to a custom size for this manufacturing customer. 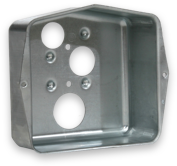 The product-specific blank decreased the aluminum needed to produce the part by 30% resulting in significant savings! The PMI custom blank solution reduced the material need by over 12,000 pounds per year which saved close to $20,000 in wasteful spending. 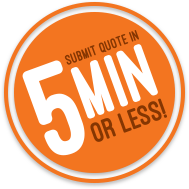 See how we can make your next project quick and painless. Are you tired of long lead times, high prices, and low-quality steel? You’re not alone. We shrink your supply chain and provide quick turnaround time without compromising quality or cost. Get your quote now to see what PMI can do for you.